As quantum technologies advance, we get closer to finding solutions to some of the world’s most challenging problems. While this new paradigm holds incredible possibility, quantum computing is very much in its infancy. To fully embrace the power and potential of quantum computing, the system must be engineered to meet the demands of the solutions the world needs most. The fragile nature of qubits is well-known as one of the most significant hurdles in quantum computing. Even the slightest interference can cause qubits to collapse, making the solutions we’re pursuing impossible to identify because the computations cannot be completed. Microsoft is addressing this challenge by developing a topological qubit. Topological qubits are protected from noise due to their values existing at two distinct points, making our quantum computer more robust against outside interference. This increased stability will help the quantum computer scale to complete longer, more complex computations, bringing the solutions we need within reach. Electron fractionalization. By splitting the electron, quantum information is stored in both halves, behaving similarly to data redundancy. If one half of the electron runs into interference, there is still enough information stored in the other half to allow the computation to continue. Ground state degeneracy. Topological qubits are engineered to have two ground states—known as ground state degeneracy—making them much more resistant to environmental noise. Normally, achieving this protection isn’t feasible because there’s no way to discriminate between the two ground states. However, topological systems can use braiding or measurement to distinguish the difference, allowing them to achieve this additional protection. Currently years into the development of the topological qubit, the journey began with a single question, “Could a topological qubit be achieved”? Working with theory as a starting point, Microsoft brought together mathematicians, computer scientists, physicists, and engineers to explore possible approaches. These experts collaborated, discussed methods, and completed countless equations to take the first steps on the path toward realizing a topological qubit. Modeling and experimentation work hand-in-hand as an ongoing, iterative cycle, guiding the design of the topological qubit. Throughout this process, the Microsoft team explored possible materials, ways to apply control structure, and methods to stabilize the topological qubit. A team member proposed the use of a superconductor in conjunction with a strong magnetic field to create a topological phase of matter—an approach that has been adopted toward realizing the topological qubit. While bridging these properties has been long-taught, it had never been done in such a controlled way prior to this work. To create the exact surface layer needed for the qubit, chemical compounds are currently being grown in Microsoft labs using a technique called “selective area growth.” Chosen for its atomic-level precision, this unique method can be described as spraying atoms in the exact arrangement needed to achieve the properties required. The team continues testing functional accuracy through device simulation, to ensure that every qubit will be properly tuned, characterized, and validated. Many fields of knowledge have come together to realize the topological qubit, including mathematics, theoretical physics, solid state physics, materials science, instrumentation and measurement technology, computer science, quantum algorithms, quantum error correction, and software applications development. 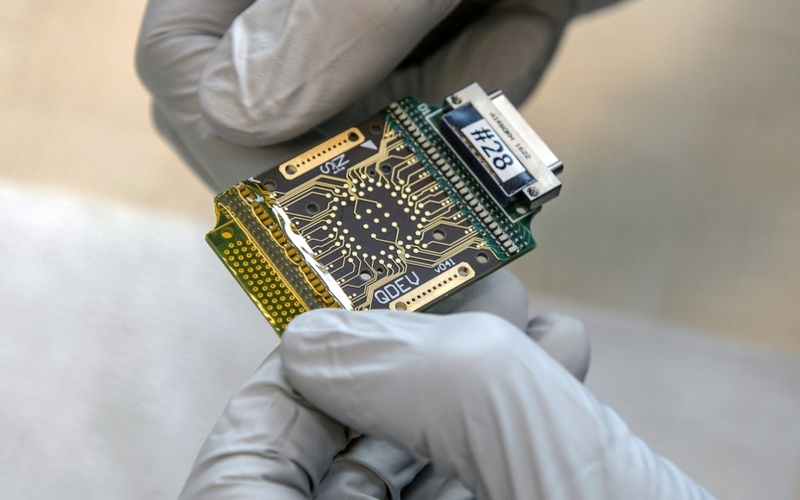 At Microsoft, the development of the topological qubit continues, bringing us closer to scalable quantum computing and finding solutions to some of the world’s most challenging problems. 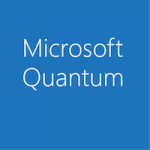 Follow along on our journey to scalable quantum computing by signing up for the Microsoft Quantum newsletter.